THE MAISON IS HERALDING A NEW CHAPTER IN ITS HISTORY WITH ITS FIFTYSIX® COLLECTION. IT REPRESENTS AN IMPORTANT NEW STEP AS THIS ORIGINAL LINE, INSPIRED BY A HISTORICAL VACHERON CONSTANTIN WATCH DATING FROM 1956, INSTILS A MODERN MOMENTUM CAPABLE OF OPENING UP THE WORLD OF FINE WATCHMAKING TO EVERY ENTHUSIASTS. INTRODUCING A BRAND NEW COLLECTION WITH A COSMOPOLITAN STYLE THAT IS BOTH CONTEMPORARY AND HISTORICALLY INSPIRED. A RETRO-CONTEMPORARY STYLE FOR AN ELEGANT MASCULINE WATCH TO BE WORN IN ANY CIRCUMSTANCE – A MODERN INTERPRETATION OF THE ICONIC REFERENCE 6073, LAUNCHED IN 1956 AND INSPIRED BY THE MALTESE CROSS. EQUIPPED WITH SELF-WINDING MOVEMENTS, SIMPLE OR EQUIPPED WITH HOROLOGICAL COMPLICATIONS AND ADORNING A NEW PINK GOLD OPENWORKED OSCILLATING WEIGHT FEATURING THE MALTESE CROSS EMBLEM. FLYING. A DREAM THAT DATES BACK TO THE EARLIEST DAYS OF HUMANKIND. AFTER COUNTLESS MYTHOLOGICAL, EPIC AND SOMETIMES INCREDIBLE ATTEMPTS, THE DREAM AT LAST CAME TRUE IN THE LATE 18TH CENTURY. THE FIRST “AEROSTATIC EXPERIMENTS” SUCCESSFULLY DEFIED GRAVITY. THE MÉTIERS D’ART LES AÉROSTIERS COLLECTION BY VACHERON CONSTANTIN PAYS TRIBUTE TO THIS EXHILARATING CHAPTER IN HISTORY. ON THE SCALE OF A WATCH DIAL, THE MASTER ENGRAVERS OF THE MAISON ALSO ACCOMPLISH AN AUTHENTIC FEAT: FAITHFULLY REPRODUCING IN MINIATURE THE HISTORICAL DEPICTIONS OF FIVE FLIGHTS UNDERTAKEN IN FRANCE BETWEEN 1783 AND 1785. SPLENDID HAND-ENGRAVED AND MICRO-SCULPTED GOLD HOT-AIR BALLOONS HOVER AGAINST A TRANSLUCENT PLIQUE-À-JOUR ENAMEL BACKGROUND, WHILE TIME IS DISPLAYED TO THE BEAT OF MANUFACTURE CALIBRE 2460 G4/1. PRESENTED WITH AN 18 CARATS 5N PINK GOLD CASE, THE NEW OVERSEAS ULTRA-THIN PERPETUAL CALENDAR REVEALS ITS TECHNICAL COMPLEXITY WHILE EXUDING AN AURA OF UNDERSTATED DISTINCTION. THIS TIMEPIECE REPRESENTING ONE OF THE SLIMMEST ON THE MARKET HOUSES THE ICONIC VACHERON CONSTANTIN CALIBER 1120 QP/1, AN ULTRA-THIN MECHANICAL SELF-WINDING MOVEMENT POWERING PERPETUAL CALENDAR AND MOON-PHASE INDICATIONS. AN AUTHENTIC FEAT OF MINIATURISATION, THIS BARELY 4.05 MM THICK MOVEMENT COMPRISING 276 PARTS KEEPS TRACK OF CALENDAR IRREGULARITIES WITH NO NEED FOR CORRECTION UNTIL 2100. A MODERN EXPRESSION OF THE GRAND GENEVA WATCHMAKING TRADITION, THE APTLY NAMED TRADITIONNELLE COLLECTION IS ENRICHING ITS PALETTE OF HOROLOGICAL COMPLICATIONS WITH TWO BRIGHT STARS IN THE MECHANICAL WATCHMAKING FIRMAMENT: THE COMPLETE CALENDAR AND THE TOURBILLON. 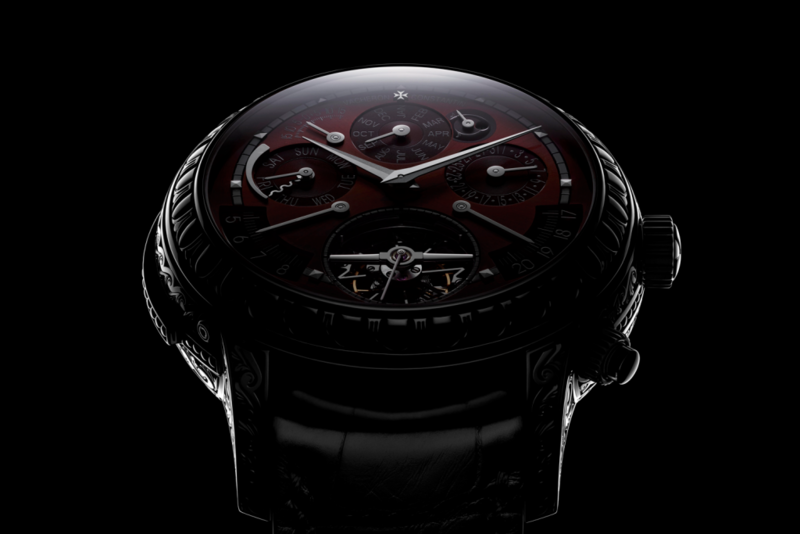 THE LATTER IS DRIVEN BY THE NEW VACHERON CONSTANTIN CALIBER 2160, THE FIRST SELF-WINDING TOURBILLON MOVEMENT FROM THE MAISON. THE NEW TRADITIONNELLE WATCHES COME WITH A 41 MM-DIAMETER CASE IN 18K 5N PINK GOLD, AS WELL AN EXCLUSIVE COLLECTION EXCELLENCE PLATINE EDITION. HOROLOGICAL EXPERTISE, INIMITABLE CHIC AND REFINED STYLE: THE NEW TRADITIONNELLE TOURBILLON AND TRADITIONNELLE COMPLETE CALENDAR CREATIONS FEATURE ALL THE ATTRIBUTES OF THEIR PROUD LINEAGE. ENDOWED WITH A STEPPED ROUND CASE AND LUGS, SLENDER BEZEL AND A FLUTED CASEBACK, RAILWAY-TYPE MINUTE TRACK, DAUPHINE-TYPE HANDS AND “BÂTONS DE GENÈVE” HOUR-MARKERS, THEY ARE DRIVEN BY SELF-WINDING IN-HOUSE MOVEMENTS REVEALED THROUGH THE BACKS OF THEIR 18K 5N PINK GOLD OR 950 PLATINUM CASE. 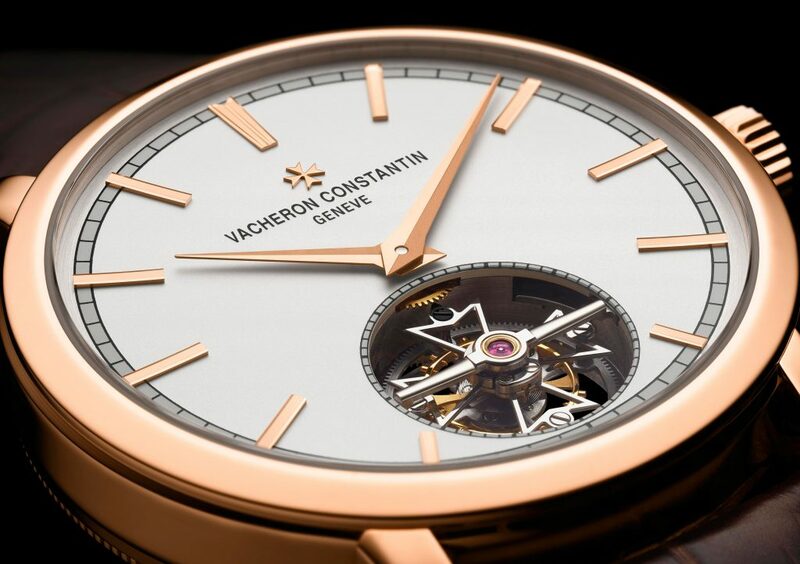 VACHERON CONSTANTIN UNVEILS TWO MASTERPIECES IN ITS HIGHLY EXCLUSIVELY LES CABINOTIERS COLLECTION. BOTH OF THESE TWO ONE-OF-A-KIND MODELS HOSTS A NUMBER OF THE MOST DEMANDING HAUTE HORLOGERIE COMPLICATIONS, MAGNIFIED BY THE ART OF ENGRAVING. A FEAT OF MINIATURISATION AND HANDCRAFTED EXCELLENCE EPITOMISED IN TWO MANUAL-WINDING CALIBRES RESPECTIVELY DRIVING 16 AND 15 COMPLICATIONS DISPLAYED BETWEEN FRONT AND BACK DIALS, FRAMED BY A HAND-CHASED GOLD CASE. THE TWIN DIALS OF THE GRANDE COMPLICATION “ORNEMENTALE” AND GRANDE COMPLICATION “CROCODILE” ARE ADORNED WITH DEEP SHADES OF AUBERGINE AND SLATE GREY, WHILE THEIR CASES ARE RESPECTIVELY ENGRAVED WITH ORNAMENTAL “VICTORIAN” AND CROCODILE PATTERNS. AN ELEGANT ALLIGATOR LEATHER STRAP SECURED BY A PIN BUCKLE LIKEWISE ENGRAVED ACCORDING TO THE GIVEN THEME SETS THE FINISHING TOUCH TO THESE PRESTIGIOUS WATCHES, PRESENTED IN A LUXURIOUS MAKASSAR EBONY WOOD WINDER BOX. BREITLING #SQUADONAMISSION : THE COUNTDOWN BEGINS!